Making chapatti is extremely easy for some but too tough for some. 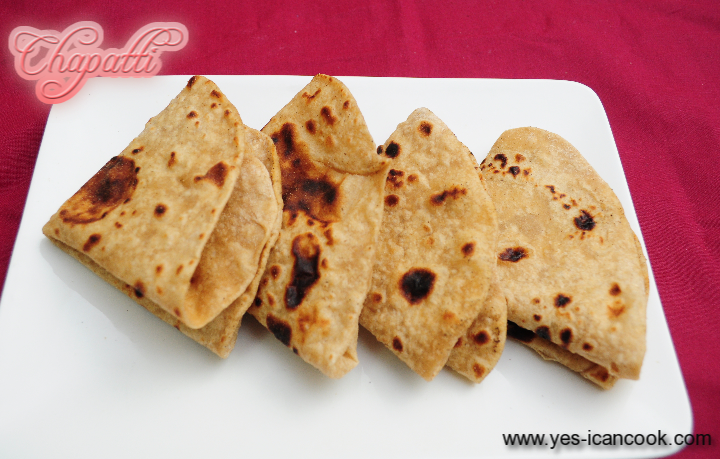 Chapattis are good when they are soft and when you can tear a piece with just two fingers without any effort. 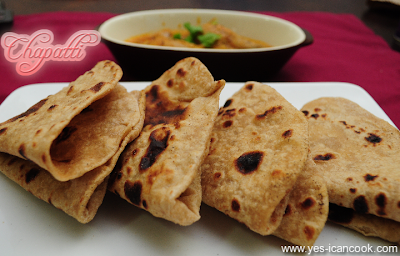 In the past I have made chapattis which has earned the comment of them being worse than the ones served in jail.. lol!! Meaning hard ones which need two hands to tear a piece, One to hold the chapatti and the other to tear a piece. 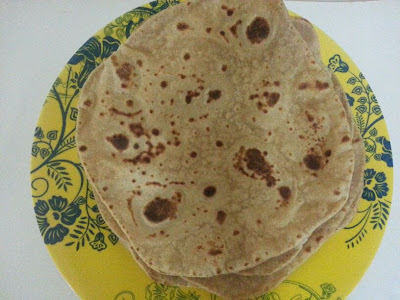 Almost all chapattis are nice and soft when you just cook them as they come hot of tawa but the real good chapattis are ones which remain soft without turning hard or crisp even after several hours of making them. I usually make chapattis at night and roll them in aluminium foil to use for lunch the following day and warm them in the microwave for just 30 seconds. Every batch of the chapattis i prepare now stay nice and soft. Simple things that ensure your chapattis stay soft are to prepare the right dough, not to roll it too thin and not to over cook them. 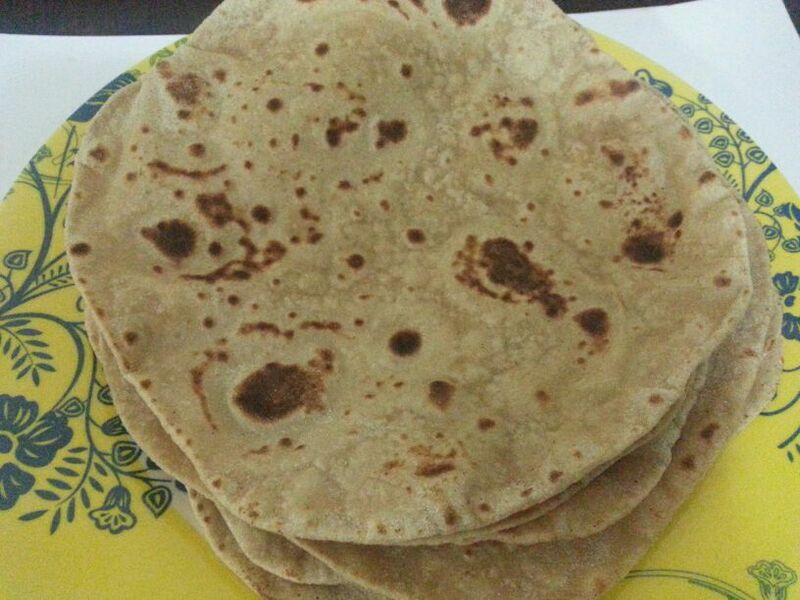 I now roll almost circle chapattis too.. that sure took some practice. I used to roll out every possible shape except a circle. You can always make a perfect circle by cutting using a large lid or small plate. 1. In a mixing bowl sieve the wheat flour with salt. 2. Add warm milk little by little to form a dough. You can use water if you do not want to use milk but milk makes chapattis softer. 3. Knead for 6-8 minutes to make a not too soft or not too stiff non sticky dough. 4. Cover and keep it aside for 30 minutes. 5. Divide the dough into smaller portions and form a ball of each portion. Keep it covered. 6. Flatten the ball and roll it evenly to a disc by dusting some wheat flour. Do not roll too thin. 7. Repeat the same with all the dough. Keep the rolled discs covered between two plates to avoid drying. 8. Heat a tawa and reduce heat to medium. 9. Place one of the rolled disc on the hot tawa and turn it to the other side when bubbles start to form. 10. Apply or spray some oil on the first side and turn over again. 11. 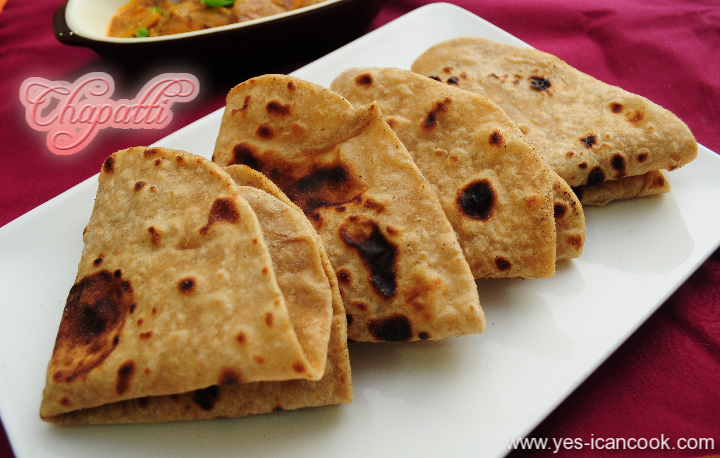 Apply or spray oil on the second side and keep turning till the chapatti is cooked and has brown spots on both sides. 12. Do not over cook else chapatti will become crisp and hard.